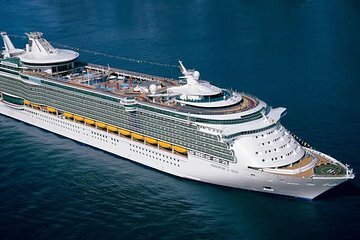 Your tour departs from the cruise port; after disembarking your ship, you will take the free shuttle and will get off at the parking of the port. Our guide will be there waiting for you with a sign under your name. After a brief orientation, your first stop is the Castle of San Felipe (Castillo San Felipe), the site of a series of battles between French, English ans Spanish forces. The impressive castle is now a UNESCO World Heritage Site. Tour the San Pedro Claver Chruch, another UNESCO World Heritage Site that is one of Cartagena's most-visited landmarks. Learn about the church's history as a haven for hundreds of thousands of sick slaves arriving in Cartagena, cared for by one particularly humanitarian priest. At the Inquisition Museum, take a guided tour to learn about the city's bloody past during the trials and tribulations of the 17th century. Then, stop in Las Bovédas neighborhood, where you can browse the local arts and crafts shops for souvenirs before drop-off back at the cruise port. Cartegena was fabulous my only wish was to have had more time. Our guide was comprehensive and a wealth of knowledge. He made sure that we learnt as much as possible in the short time we had. If we travel to that way again I would definitely go back. Guide was not at the agreed upon pickup spot when we arrived. We had to search for him in the cruise port. Once we were under way the tour was very good. Guide was knowledgeable and friendly. Spoke excellent English. We saw all that was promised. The distance to the meeting place was far great then described. In addition to being almost 1 mile from the cruise ship we had to navigate across 4 lanes of moving traffic. The guide was not there at the appointed time and when he arrived 15 minutes later the van did not have a step so none of us could get in. We waited another 15 minutes for a step to be delivered. The other couple had booked a different tour (6 hours) and was very upset when the driver said he would try to "combine" the 2 tours. What we saw was interesting but the manner in which the tour happened has set us all up for an overall negative experience. We were met outside the cruise port and immediately began our tour in a private air conditioned car. Our guide spoke excellent English with a strong accent. He was a historian on the area. We would have liked more time in the old city to shop, but was not offered the opportunity. Excellent tour. On time at location. Good knowledge. Air-conditioned transport. Highly recommended. we did not go on this tour. it was scheduled before our ship arrived (8:30 am we didn't arrive until 12:30). when we requested a time change we were told we would have to pay $25.00 each for port fees OR we could walk out to the service station and meet the bus at 1:00. the bus never came, or we were at a different service station. we ended up getting another tour by someone at the dock. The tour was amazing. The sites were all we expected and more. The service was phenomenal. We were picked up at the ship and our guide was very knowledgeable and passionalte about her country. We learned so much from her and would highly recommend Viator Tours. So much more personal and pleasant than being led around like sheep on the boat tours.